The Wilbur Curtis Gemini brewers have been popular for years. Add the new G4 technology to the brewer and there’s so much more to like. The large touchscreen is icon-driven and makes brewing coffee a simple matter of pressing a button. Don’t worry about shipping, it’s completely free! 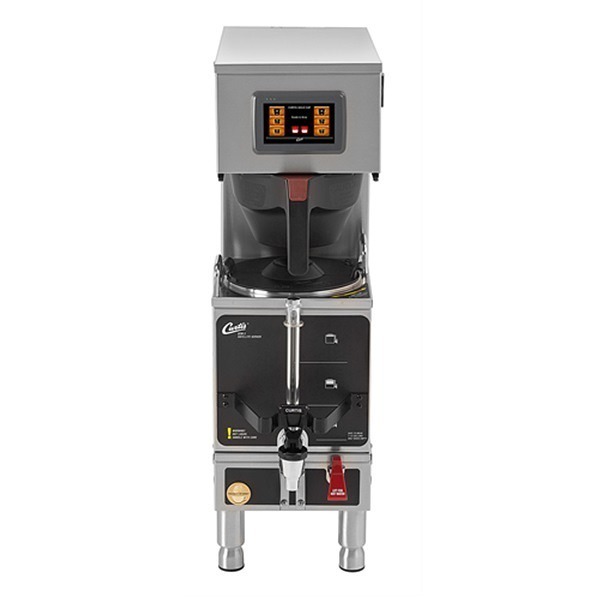 The Wilbur Curtis Gemini G4 Twin Coffee Brewer takes Curtis’ highly popular Gemini brewer and adds their new G4 technology. One-touch on the touchscreen begins the brewing process, and the Gemini G4 can brew 21 gallons of coffee in an hour. 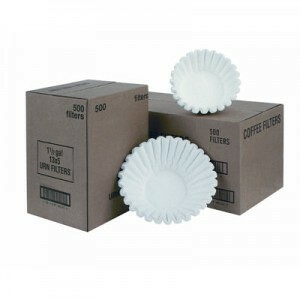 The Curtis Gemini Coffee Brewers have been a popular brewer for years. 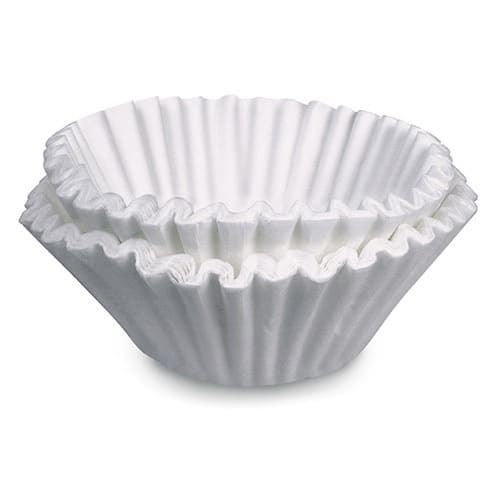 With the new G4 technology added, brewing great coffee is simpler than ever. The 4.3 inch touchscreen comes factory-set for brewing coffee. 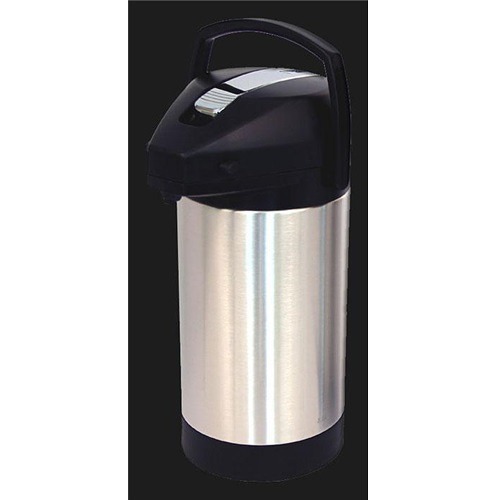 Three batch sizes can e brewed: .5, 1.0, or 1.5 gallon. Pre-infusions and pulse brewing allow for maximum flavor extraction from the coffee grounds. If you want to change brew time, brew volume, or brew temperature, simply follow the intuitive instructions on the icon-driven touch screen. The G4 technology also prevents downtime by monitoring brewer performance and reporting any service or maintenance needs. An energy-saving mode reduces electrical usage during slow times. Two Curtis satellite servers are included with the brewer, and extra satellite servers and stands can be bought sold separately. 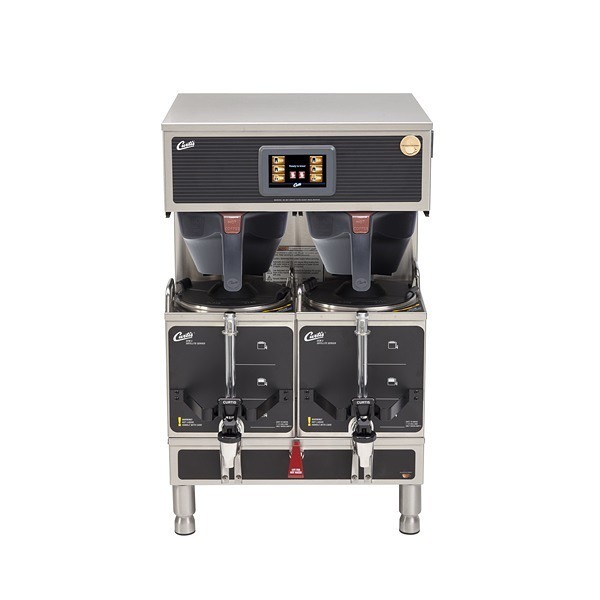 Want even more information about this great coffee maker, then check out the detailed Wilbur Curtis Gemini G4 Twin Brewer Product Spec Sheet.